Put everything into a saucepan and cook on medium heat, until it is all gooey and fluffy. Stir every now and then to stop them from sticking to the bottom of the pan. 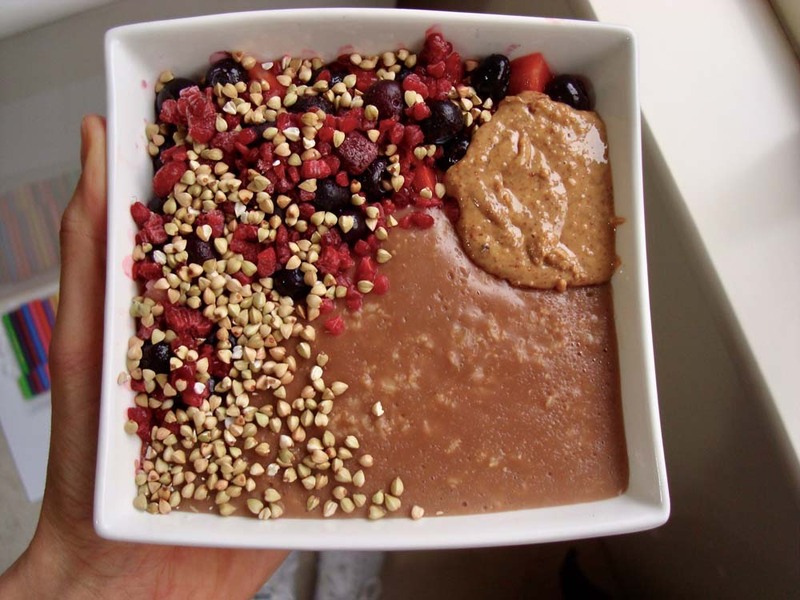 Add your toppings of choice – berries, cacao nibs, peanut butter, hazelnut spread, or nuts. You name it!